Product prices and availability are accurate as of 2019-04-17 23:06:58 EDT and are subject to change. Any price and availability information displayed on http://www.amazon.com/ at the time of purchase will apply to the purchase of this product. 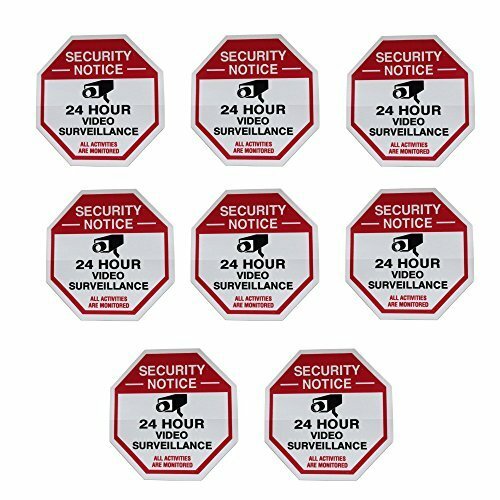 These are 3 x 3 inches octagon-shaped vinyl security stickers. Studies show that 90% of burglars will not even attempt to break into any type of residence or building if they are in some way convinced that the structure is being protected and monitored by an electronic security alarm system or video surveillance system. 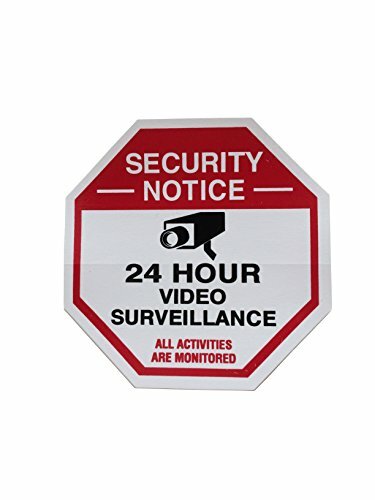 8 Video Surveillance System Security Stickers Easy to Apply; Peel-n-Stick; Adhesive on Back; Weatherproof Keep your home or business safe from burglars and intruders 3" x 3" Vinyl Free Shipping!